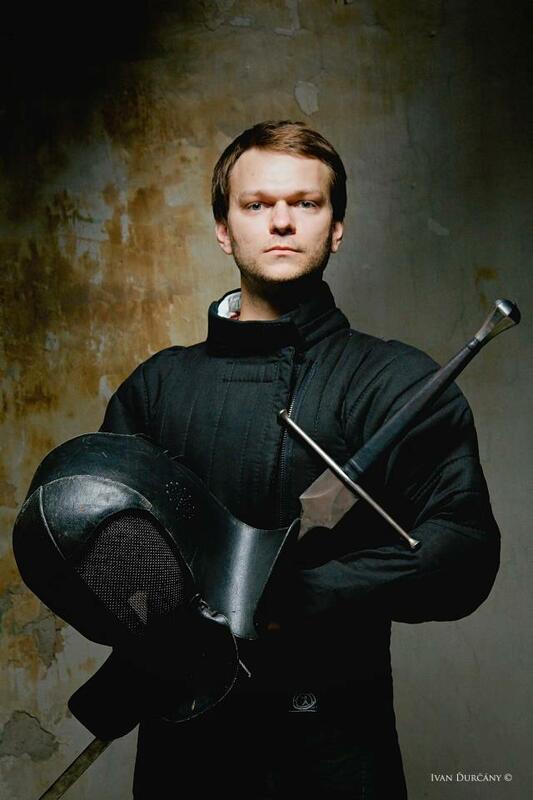 Anton Kohutovič (*1985) started with an old-school stage fencing and reenactment in 1999 in group Trnavský šermiarsky cech (Fencing guild of Trnava, TSC) as a founder member. In 2001, he switched to the Lichtenawer’s tradition and it remains his main interest today. His first step was to make his own complete interpretation of Lichtenawer’s Zedel because TSC had no connections to the rest of the international HEMA scene until 2010. This interpretive approach focuses mostly on fencing biomechanics and principles beyond fencing. Anton’s philosophy is that proper execution of fundamental fencing actions are more important and effective than dozens of different fancy techniques. Since 2013 he has been gradually building his own fencing methodology for longsword because existing HEMA training methods are often not as comprehensive as they could be. His primary research is conducted mostly in Slovakian (transcriptions, translation, interpretations, and written articles) and published at www.tsc.sk or presented at Tyrnhaw, an international HEMA event hosted by TSC in Slovakia. He is a one of the founders of the Slovak Federation of Historical Martial Arts (FEBUS) where he is responsible for developing educational programs and consulting on fencing techniques. In addition to instructing a wide range of students in Slovakia and the Czech Republic, Anton has had the opportunity to present internationally, including events in Poland, Hungary, Sweden, Germany, USA, Netherlands, Italy, and Spain. Since 2010 he has been a member of HEMAC.